Are you planning to go shopping in Big Sky? 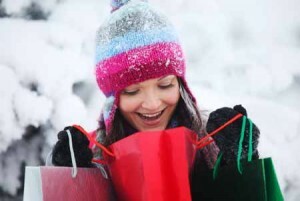 Big Sky retailers have you covered for all for all of your shopping needs. Whether you're shopping for high-end fashion, outdoor gear, or local Big Sky products, you'll easily find everything you're looking for. Big Sky has stores specializing in hardware, groceries, clothing, accessories, candy, galleries, gifts, outdoor gear, local products, and so much more. There is shopping in the Canyon, Meadow, and Mountain. You can find things to help you stay warm when it's cold out, get ready to go skiing, outfit you for fly fishing, or find a stunning outfit that makes you look stylish. Mountain Maven - Based in Town Center, Mountain Maven is a women's clothing boutique featuring clothing designed to fit the mountain lifestyle for both work and play. SugarBuzz - Need something sweet? Head to Big Sky's only candy shop in the Westfork Meadows. Rhinestone Cowgirl - Located in Town Center, Rhinestone Cowgirl features contemporary western styles with an urban twist. High Country Goods - Located in Town Center and featuring local designs and cool apparel, High Country Goods is the perfect place to get your next favorite t-shirt, hoodie, or hat. The Cave Spirits and Gifts - When you're grabbing a bottle of wine or spirits, you might as well also grab a fun gift for someone special. Grizzly Outfitters - Based in the Big Sky Town Center and on Highway 191, Grizzly Outfitters has everything you need for the resort, the backcountry, the trails, or the river. Big Sky Sports - Conveniently located in the Mountain Village, Big Sky Sports is ready to outfit for you for your next adventure. JP Woolies - Stop by JP Woolies in the Mountain Mall for toys, gifts, apparel, and other odds and ends that will make you remember your trip to Big SKy. Gallatin Alpine Sports - Located in West Fork, GAS is your one-stop shop for skiing, biking, and boating. Made in Big Sky - Based in the Meadow, Made in Big Sky is the perfect place to find gifts made by Big Sky locals that are uniquely Montana. East Slope Outdoors - Based in Big Sky Town Center, East Slope can set you up with everything you need to enjoy the great outdoors. Lone Mountain Sports - Located in the Arrowhead building at the Mountain Village, LMS can supply you with everything you need to hit the slopes and enjoy the outdoors. This only a partial list of places to go shopping in Big Sky. Discover more Big Sky shopping options here.